Need help with consolidating your ideas, reinvigorating your brand, or finding new ways to re-interpret your goals? LCI can help you with your strategic phase to ensure that your vision, goals, and plans are well aligned and consolidated. We develop communications and marketing strategies that answer your primary business objectives to ensure sustained business growth and success. Great brands deserve great packaging. Whether it’s adding value to your product through packaging or the creation of emotive visuals, we make sure that the designs bring forth the best in your idea and brand. The brand experience starts with a simple, yet compelling idea. Our expertise is in originating and leveraging that idea to enhance your brand to maximize its existing profile digitally. We transfer these ideas into gripping visuals and online content that reinforce brands through market driven campaigns, linking visual, content and verbal identities with its strategic foundations digitally and online. At LCI we make sure everything gels together to get you desired results. Our different campaign elements work together to create an unforgettable experience for the end user. Each is delivered with a tone and style that reinforces the campaign’s core message – working as an integrated force, rather than just in isolation. Generating buzz in the new media landscape is all about communicating with customers where they’re looking for information. 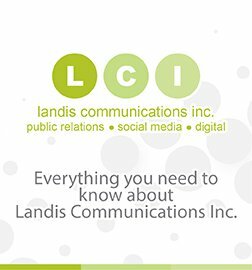 Because we’re based in the San Francisco Bay Area, the nexus of social media and new communications strategies, LCI has great expertise in leveraging new ways to utilize content marketing, social media, digital strategies, and reporting on behalf of our clients. We create campaigns that cut a clear path to connect with everyone who matters to you – your sales staff, representatives, influencers, and end customers. LCI can successfully create and launch content for TV/Radio by determining the best way to propel your ideas to consumers that leave lasting impressions.